If you just need to borrow money for a brief time and don't want to use money from your savings, consider one of our many term notes. For short-term borrowing, LGFCU offers many types of term notes including our Signature Personal Loan, Share Secured Loan, and Share Term Certificate. 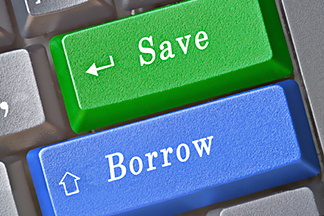 Find out which one may be a good fit for your borrowing needs! Lending is limited to residents of North Carolina, South Carolina, Virginia, Georgia and Tennessee. A loan officer can help you select the best term note for your situation. Choose a way to request the Term Note that’s right for you. Plan for family summer fun with this special offer from LGFCU!